Due to its small amount of tourists, Chile’s charm cannot be paralleled. Its diverse landscapes and pure nature provide lovely spectacles. Beauty and adventure can be found everywhere, from the Andres barrier to the Atacama desert, through central forests and vineyards, volcanic landscapes and snow-capped peaks. 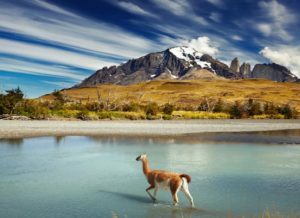 It is worth visiting some of the Chilean national parks, which offer hiking routes and the chance to spot wildlife. If you would like to explore more of the indigenous traditions of Chile, you should ensure to visit some rural Andean villages in the south. To complete your trip, make sure to travel to Easter Island to experience its harmonious nature and statues. Last Updated: April 01, 2019 11:02 ESTThe Health tab was updated - travel health information (Public Health Agency of Canada). Medical services in Chile correspond to European or American standards and are operated by extremely competent medical staff – many of which are French. You will find it easy to make a doctor’s appointment in the country. In Santiago, you can choose between two modern and well-equipped medical establishments: Clínica Las Condes and Clínica Alemana. However, in more remote areas of the city, it is hard to find reliable hospitals and emergency services. Pharmacies are widespread throughout the country, and medications are easy to access. To call an ambulance, dial 131. Is Chile Safe for Travel? Do I Need a Visa to Visit Chile? 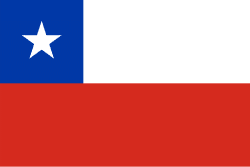 Only a passport is required to enter Chile. Your passport must be valid for the length of your stay.